Photo courtesy of the SDSU Athletic Dept. Tony Gwynn has always been one of my favorite players in the history of the game of baseball. I've taught many, many kids how to hit over the years and Gwynn's swing, approach, and work ethic has always been a source of inspiration and teaching. I watched along over the years as Gwynn worked himself to 8 batting titles and over the 3000 hit milestone and on to 3141. Such accomplishments don't come without a diligent work ethic and a love for what you do. A love to play the game of baseball. I celebrated Gwynn's election to the Hall of Fame, and when I heard he had ventured into coaching at San Diego State. I've enjoyed countless hours of reading the accounts of other folks along the way too on Gwynn's legendary work ethic, what a great teammate he was, and about his charismatic demeanor and his infectious laugh. And I still get goosebumps when I think of that All-Star Game at Fenway in 1999, with Gwynn, Mark McGwire... and the rally around baseball legend Ted Williams. Goosebumps. With all these accomplishments and accolades, the 'human factor' of Gwynn's story was an important piece of the puzzle to follow too: His battle with his weight and his addiction to 'dip' aka smokeless tobacco. Then one day last October I remember feeling... very, very cold when I heard that Tony Gwynn had cancer. It was another reminder that time is fickle. At any moment our youth, our heroes, and we ourselves can be taken. I guess I tucked the hope that Gwynn would recover, went about my business, and hoped for the best. 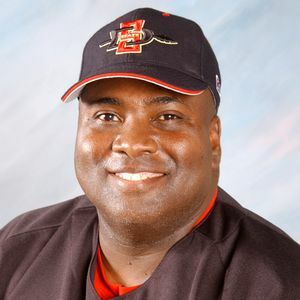 With another busy Spring of baseball prep, and the project based work in the rLab at Burr and Burton I hadn't checked in on how Tony Gwynn was doing, if he was back at San Diego State for the Season or if he was still recovering... or the grim alternative that he wasn't doing well at all. I was thrilled to see this story from ESPN this morning, a sign that Spring is once again upon Tony Gwynn. It's a good tale of the trials of addiction, and the strength and love of people to support you through the tough times, and once again of Gwynn's work ethic. Understand that your class is but one of five or six or seven classes that kids have. Understand that school is one of many things in a teenager's life. And while what goes on in your class is important, I ask that teachers remember that, at any given moment in time, there are pressures on their kids' lives that makes what goes on in our classes seem powerfully inconsequential. Remember that we teach students before we teach subjects. I ask that all SLA teachers understand and live the profound difference between the statements, "I teach history," and "I teach kids history." Children should never be the implied object of their own education. Good coaches don't just coach baseball. They coach kids. Enjoy coaching the kids on your teams this season. Get to know them. Help them understand that you are not simply invested in teaching them the game of baseball but are interested in helping them understand their place in the world, and that you and the family of your baseball team, and the history of your program is going to help give them strength along the way. I'm celebrating today for Tony Gwynn, his family, for the kids at San Diego State, and all of us really... because we get to hear the infectious laugh of Tony Gwynn again this Spring. Wells said. I too have been a long time fan of Tony Gwynn, watching that smooth swing and incredible bat control. I wish he had played on the East coast so I could have seen him more. His addiction to dip and then his ordeal with cancer should be a testament to all. Dip has always been associated with the culture of baseball and I hope that having "hall of famers" speak out about it will help todays youth get rid of this part of our culture. I also liked the statement about "teaching kids, not just teaching baseball". Sports are all about life lessons and we all have the great opportunity to help our student-athletes learn about all that life can bring and how to handle things with dignity and respect. Making life long connections to our players should be our ultimate goal, not just winning games. Create and foster a program with trust, making connections beyond the playing field, and getting kids involved in the community are great building blocks for a successful program. Thanks for writing what you did Adam.